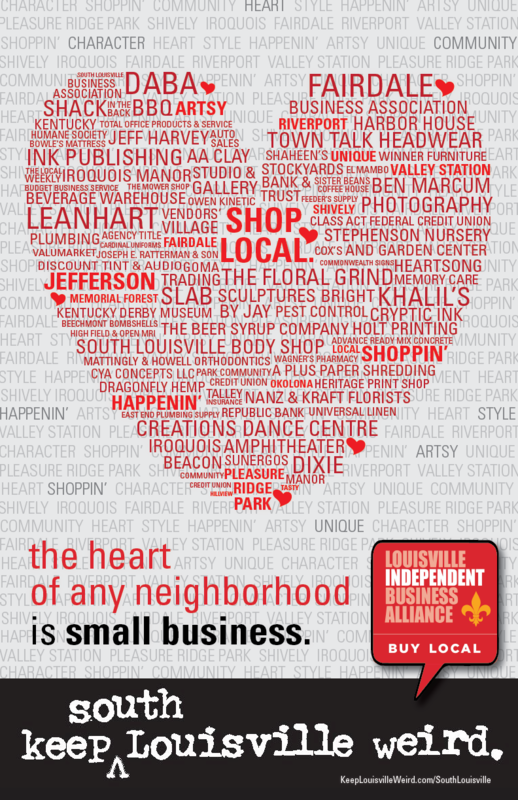 The LIBA South Work Group is a collaborative committee of South Louisville business owners, residents, Louisville Forward, elected officials, and area organizations committed to supporting and expanding independent businesses in the South Louisville area. Building on the growing momentum of the ‘Keep South Louisville Weird’ movement, the group has put together a series of events and programs designed to raise awareness, garner support, and deliver resources to grow locally-owned, independent businesses. Coalition building and strategic programming began in 2013, evolving into a series of staple events and initiatives. This includes: a South Louisville informational tour, local business surveys to assess demand and opportunity, networking and resource sharing events, a community convening to develop a local business strategic plan, a South Points Buy Local Fair, and numerous other partnered events. For more information, contact Johnetta Roberts.